An Insider Travel video about “How To Catch Clams” in the sand. You can get your own food around the world using the clamming techniques demonstrated here by SurvivalBros.com Watch now, and see us catch the legal limit. Don’t forget your permit from the State! First to 15 razors wins. 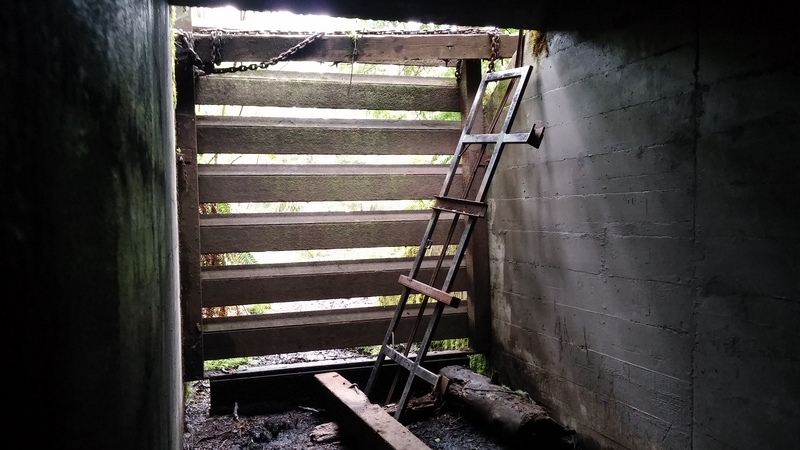 http://www.survivalbros.com goes inside an old American bunker near the hiker cabins on Tillamook Head. It housed a radar installation. This park is in between Ecola State Park, and Seaside, Oregon. There are trails each way. Visit the website for more information. Please like, comment, and SUBSCRIBE! Thanks. I love game shows. I’ve always wanted to host one, or play others on TV. A new program called Let’s Ask America gave me the chance to claim $50,000. 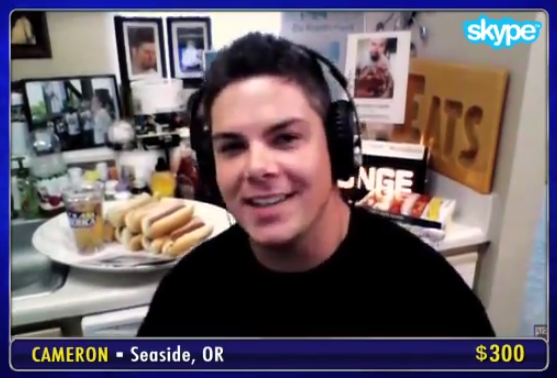 Using a webcam and Skype I played from my apartment, and represented for my city of Seaside, Oregon. The episode I starred in aired on my 30th birthday. It was the best gift ever. I dominated the competition, and maintained a lead the entire game. One by one I picked off the challengers. I attribute all of my success to following my instincts. I went with my gut. Even though we were playing before a live studio audience in Hollywood, I kept my cool. I racked up $6,600 heading into the final question. I decided to bank $5k, and risk $1,600 which could be doubled. I guessed the correct answer and screamed in joy. My total winnings ended up being $8,200! The crowd went wild, and I ran my mouth. The host Kevin Pereira asked what I would do with the money and I said, “Well Kev, shout out to William Blake and da Vinci, but I think I’m the greatest artist of all time. So I’m going to buy some Art supplies, and get my ideas out there.” The Daily Astorian wrote an article on my victory. Here’s the two clips the show has uploaded on their YouTube channel. Have a question for me? Please comment. Thanks for visiting my blog. Peace and love. Watch my brother Andrew McKirdy and I display our professional eating techniques on LIVE TV! 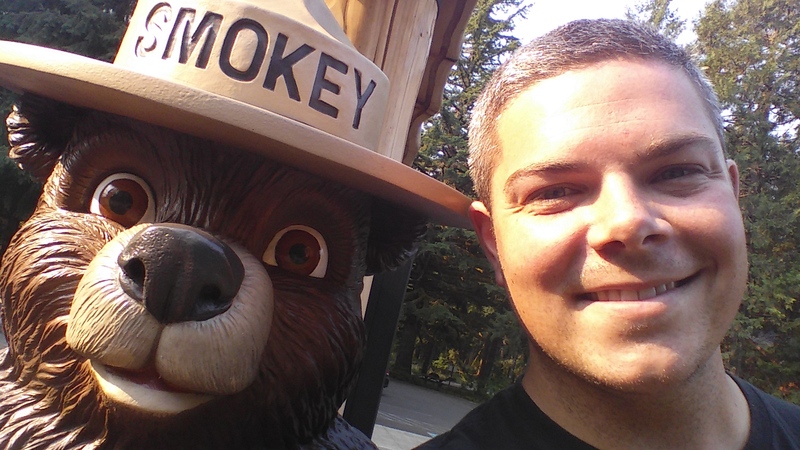 This “On The Go with Joe” segment was produced by KPTV Fox 12 for Good Day Oregon. We were promoting the BBQ and Brewfest “Smokin’ at The Ocean” which featured The World Rib Eating Championship held my Major League Eating in Lincoln City at Chinook Winds Casino. We had a blast representing for our city Seaside, Oregon. This was shown across the state, and Southwest Washington. We had to wake up around 4 A.M. to get camera ready. Mainly, I just had to put pink gel in my mohawk. It looked like a rib, and I thought it would bring me great fortune in the eating contest. I ended up putting down nearly 4 pounds of succulent rib meat in 12 minutes, beating Andrew by a narrow margin respectively. I entered this Championship 3 times. I was paid $100 to do this interview, and another radio show on 1190 KEX. Plus, I scored a free hotel suite for a few nights, and a handful of buffet passes. 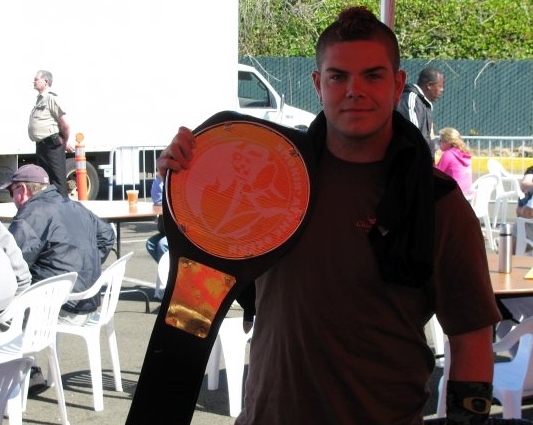 I was ranked #45 on Earth in competitive eating. Keep that in mind next time you invite me over to your house. I will eat all your food, and tell you it was about to go bad. More soon. Thanks for visiting my absurd blog. Cameron Consumption McKirdy Eats 5 Wiener Wraps! Pro Competitive Eater CONSUMPTION squares off VS hot dogs wrapped in crescent rolls with sharp cheddar cheese. 5 in 1 min. 20 sec. Just for fun. Cam travels down the mountain in a cart with his camera. Visit this epic vacation spot in Oregon! I want to bike on Mt. Hood here too. They offer cheap rentals. Cameron McKirdy smashes a car’s windows with a legendary Gerber blade. Visit http://www.survivalbros.com for more madness.